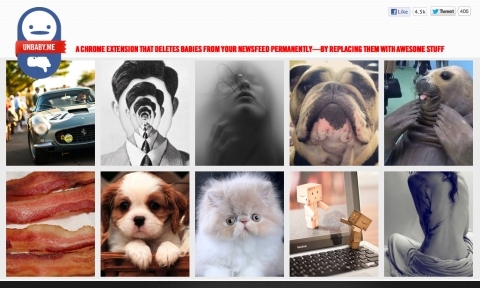 Has your Facebook newsfeed been taken over by photos of your friends’ babies? If you want to stay updated on your friends but don’t feel the need to see image after image of their kids… then try UNBABY.ME. 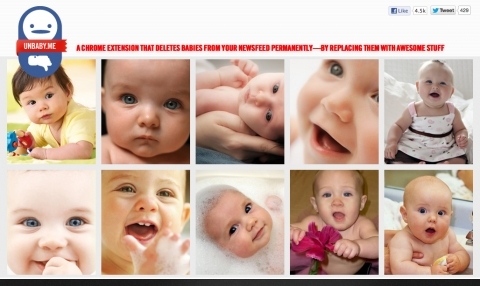 This will permanently delete babies from your newsfeed and replace them with cool alternatives! Some secrets are best left unsaid.